What can I do if a payday loan co. is refusing to work with me? They are threatening civil action. Concerning pay day loans, I have never defaulted before, but cannot afford to keep rewriting. When I contacted one of them to make arrangements to pay it off, they said I had 7 days to pay or they would take civil action against me for a bad check. I will have the amount in three weeks. The agreements states that only an arbitrator would be used, no jury trial. Can you explain that, and do you have any suggestions on what I can do if they continue to refuse to work with me? Thank you so much, and your website is great. First, thanks for the compliment about the Bills.com -- I am glad that you like it. Payday loans, also called "cash advance loans", "check advance loans", or "deferred deposit check loans", are a frequent pitfall for consumers. A fee anywhere from $15-$30 per $100 borrowed is charged for an average loan of $300. With rates so high and the term of the loan so short there’s no wonder that a very high percentage of these loans are rolled over by the borrower again and again so that the accumulated fees equal an effective annualized interest rate of 390% to 780% APR depending on the number of times the principal is rolled over. Frequently, payday lenders require borrowers to provide a post-dated check for the balance of the loan plus finance charges, which the lender will negotiate on the loan’s due date. If you have provided your payday lender with a post-dated check, probably the easiest way to prevent the lender from negotiating the check is to place a stop payment on the check with your bank. In order to place a stop payment, you would need to provide the bank with the check number, the amount of the check, and the name of the company to whom the check is made payable. Before placing a stop payment on your check, you should consult with your banker to discuss any possible problems stopping payment on the check may cause you. In addition, you should keep in mind that some payday lenders use electronic debits rather than physical checks, and it may be more difficult to stop these electronic debits. The definitive way to stop any further checks or electronic debits from being processed would be to close your bank account and open a new one with a new account number. Your banker should be able to advise you one what you need to do to keep this company from accessing your bank account, and if closing your current account is appropriate given the situation. Even if you are able to stop the payday lender from debiting your bank account, you will still owe them money, so you will need to formulate a plan to address these outstanding loans. You can get out of the payday loan trap if you are a resident of one of the 12 states where this type of loan is illegal once the effective rate passes the usury cap in that state. Usury laws dictate the maximum interest that many lenders may legally charge. If the payday lenders follow their normal business model the loan will most assuredly pass the limit very early. New York State even has a criminal statute that sanctions the lender if the rate exceeds 25%. If you are in one of those states, the loan may be void, and you may be only liable for the principal amount borrowed. In addition, there are eight states whose payday loan regulating statutes require lenders to set up an installment repayment plan if an account reaches the maximum number of rollovers allowed by law and the debtor declares that he/she is unable to pay the balance due. Such a repayment plan may help you in paying off these loans. You can find a summary of your state’s pay day loan statutes at www.paydayloaninfo.org, a website developed by the Consumer Federation of America. If you go to the same site and click on consumer help, you will find a comprehensive discussion of the best strategies of how to cope with and get out of the payday loan trap. As for your question about binding arbitration, it is a non-judicial conflict resolution option which has been adopted by many creditors in recent years, in which both parties present their cases to a neutral arbitrator, who then issues a binding decision as to who is owed what based on the facts presented. The arbitration clauses in most payday loan agreements, as well as most other credit agreements, allow either party to request binding arbitration to resolve any dispute arising from the agreement. These clauses do not generally require arbitration; if one party chooses to file suit in state civil court, and the other party does not object and request that the case be remanded for arbitration, then the civil lawsuit should be able to proceed as normal. If your payday lender did decide to file suit against you in civil court, you could petition the court to dismiss the case and remand it for binding arbitration. While arbitration is not generally considered favorable to the consumer, filing a motion to remand for arbitration could delay the legal process, allowing you time to gather the funds needed to resolve the debt. If this creditor does sue, which I think is highly unlikely, you should seek the advice of a qualified consumer rights attorney in your area to discuss your legal rights and obligations under the loan agreement and the options available to you. Although the payday lender is threatening to take civil action against you for a “bad check” if you do not allow them to cash the check you gave them, you should know that they are limited in what they can do to you through the legal system. In most states, the creditor could obtain a judgment against you for the balance of the returned check plus any fees allowed by state law, as well as court costs and legal fees. However, it is relatively uncommon for the lender to actually sue a borrower over a returned check; generally speaking, they send these accounts to a third-party collector who would call you asking you to pay the check. I think that the payday lender’s threats of taking you to court if the check you wrote them is returned are, in all likelihood, empty threats meant to scare you into paying them something you cannot truly afford. If you decide to place a stop payment on the check in question, you should contact the lender to work out alternative repayment arrangements. Even if the lender continues to be unwilling to work with you on a voluntary repayment plan, you can simply pay off the balance of the loan in three weeks when you have the funds to do so. If you cannot pay the loan off in three weeks as you have planned, and you do not live in one of the states whose payday loan regulations favor consumers, the best solution would be for you to borrow the funds needed to repay these loans from a conventional lender or a family member or friend. Converting your payday loans to a conventional loan should allow you to repay the loans within a reasonable time frame and at a reasonable interest rate. If you cannot borrow the funds to repay the payday loans, you may want to make a payment each month to pay down the balances. In some states, the interest on the loans will prevent you from effectively repaying the debts in monthly installments; if you find that to be the case, you should contact the payday lender to try to work out repayment terms that will work with your budget. Hopefully, one of these options will work out for you so these loans do not go into default. Bills.com also offers more information on the Payday Loan Information page, and has answered reader questions about payday loans in California, Florida, Illinois, Massachusetts, Missouri, Texas, and Virginia. If you do not repay a payday loan, the payday loan company has several legal remedies, including wage garnishment, levy, and lien. 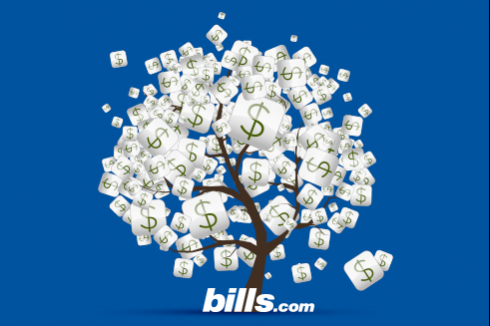 See the Bills.com resource Collections Advice to learn more about the rights of creditors and debtors. I wish you the best of luck in repaying these payday loans. I hope this information helps you Find. Learn. Save. Payday loan is one of the most convenient and fastest ways to get back on your feet if you experience a sudden financial trouble. This is hassle-free and it will not take a lot of your time for applying for a loan. The payday loan industry has been the prime target for corrupt politicians, from all sides, seeking an increase in voter support at the expense of what’s best for their citizens. Governors of several states including, Georgia, North Carolina, and Oregon completely drove payday loan companies out of their states. The negative effects of driving out payday loan companies from these states, appears to have not been what was best for its’ citizens. For instance, in Georgia, the bankruptcy filings, bounced checks and foreclosures all skyrocketed after the cash advance product was done away with. In spite of these negative statistics, following the closure of payday loans in these states, several other governors continue to try and follow suit. Top national politicians, such as presidential hopeful Barack Obama, are now stepping into the arena in hopes of wiping the industry completely off the map. Should such efforts deem successful, the possibility is very real for increased unemployment rates, more debt, more foreclosures and an even more crippled economy. Payday Loans are great because we don't always get paid when we need money. A payday loan can help us stay on track until we do get paid and is cheaper than bounced checks or late fees. No to mention, payday loans are fast and easy and the perfect solution for those who get paid monthly. Payday Loans are a loan choice that millions make. The freedom of choice is one that should never be taken away. When used wisely payday loans can help save money and get you through tight financial spots.